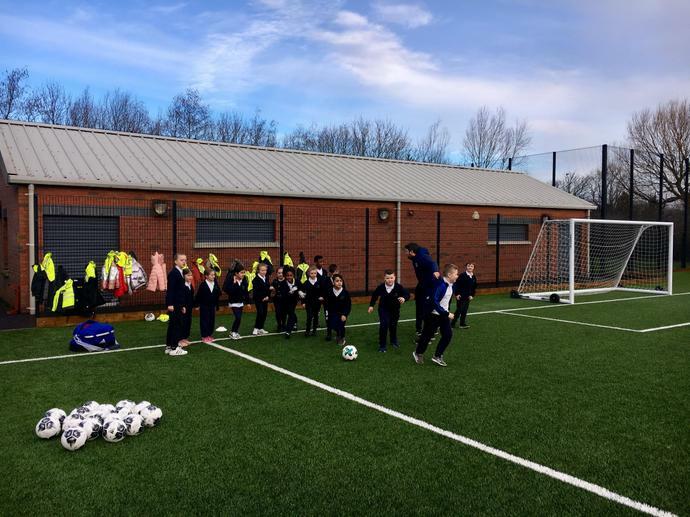 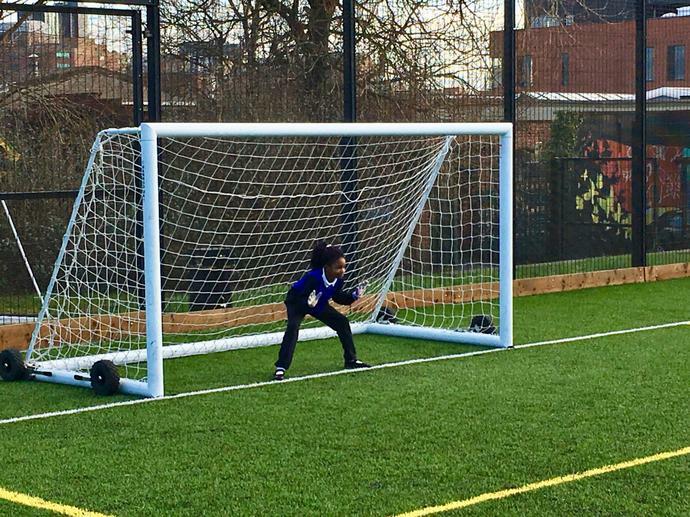 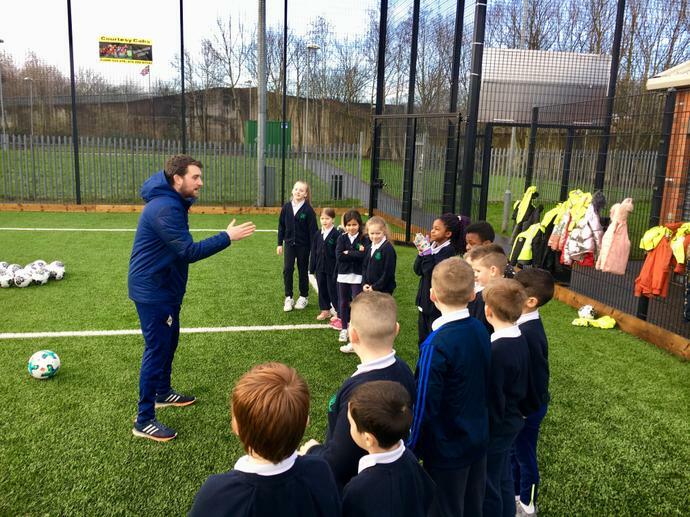 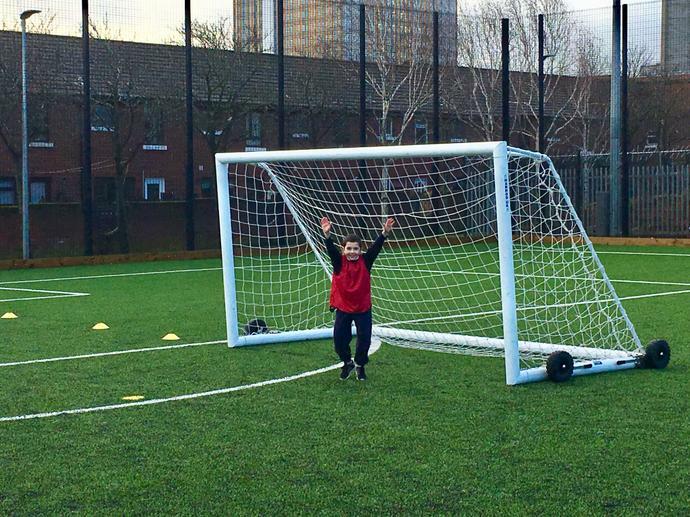 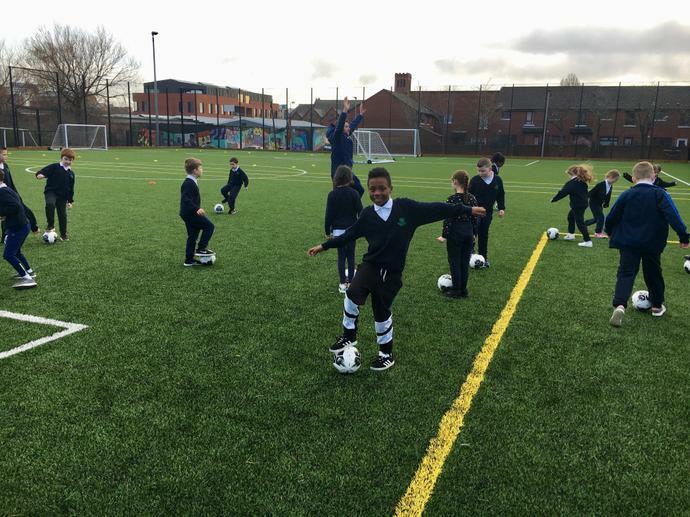 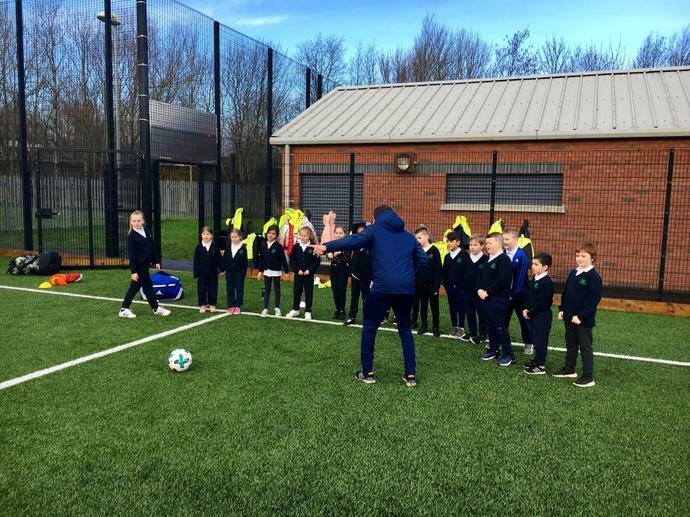 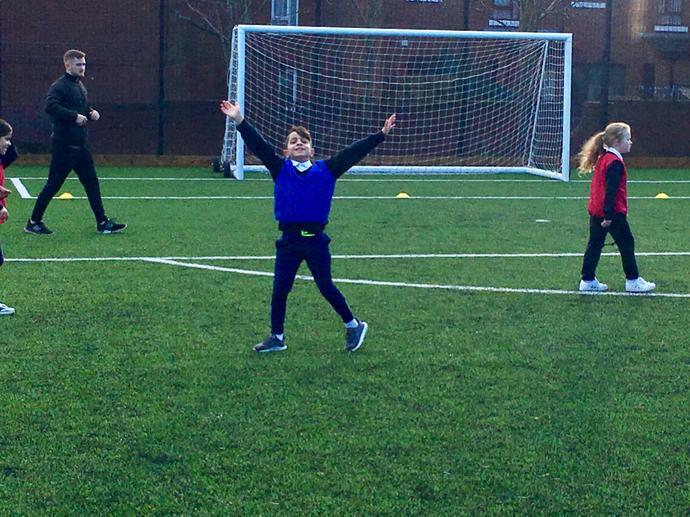 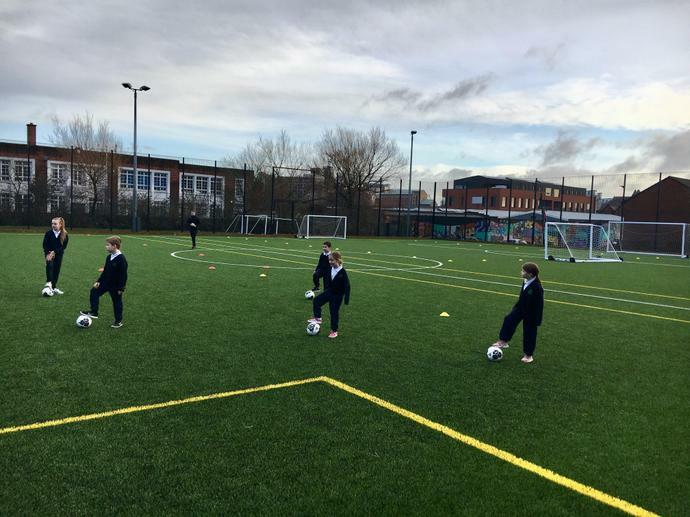 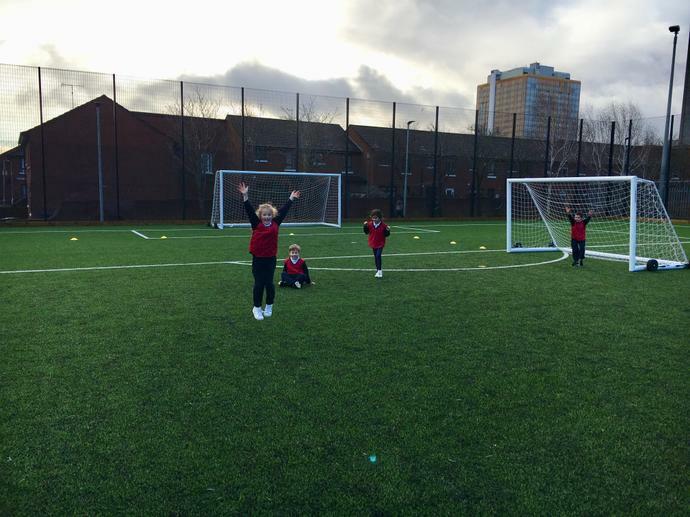 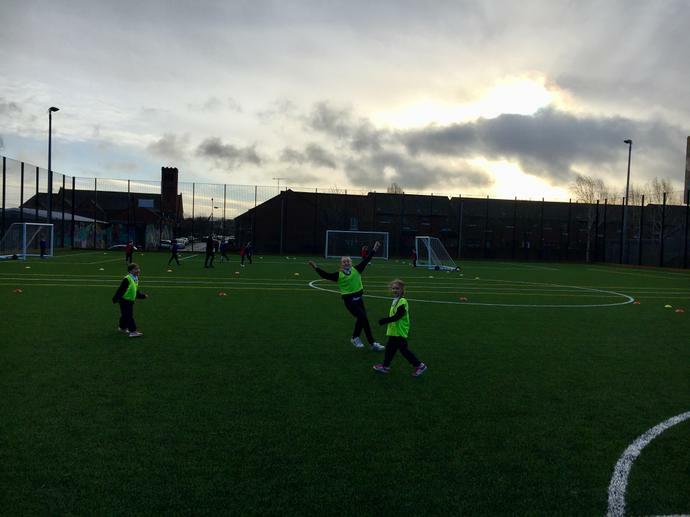 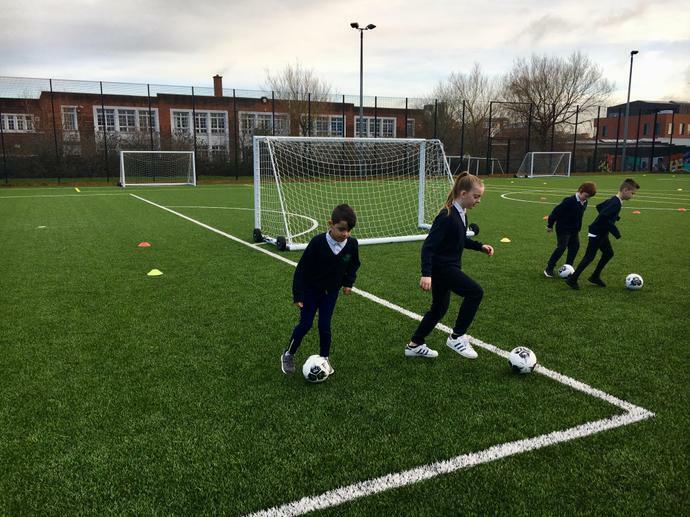 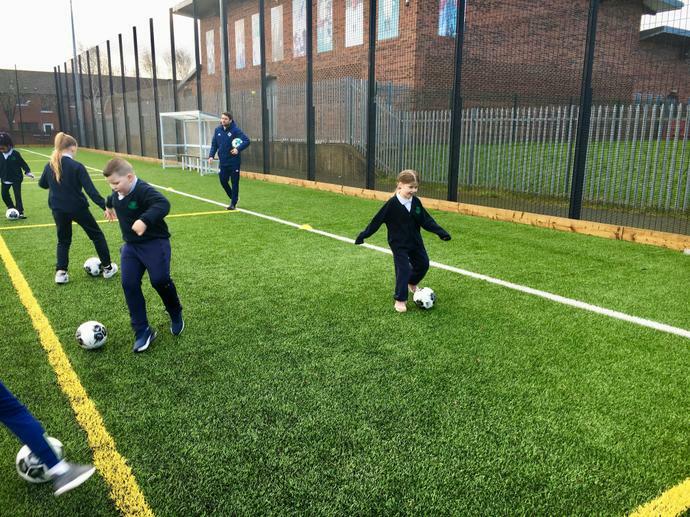 P4 learning football skills with the Irish Football Association coaches. 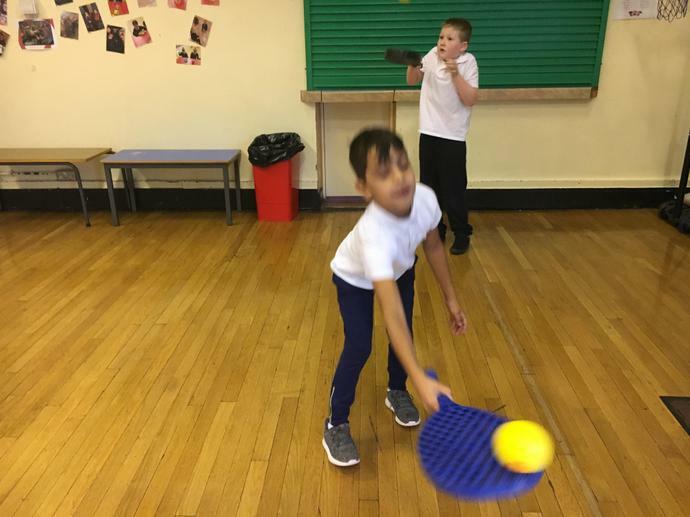 They had lots of fun & celebrations during the mini matches. 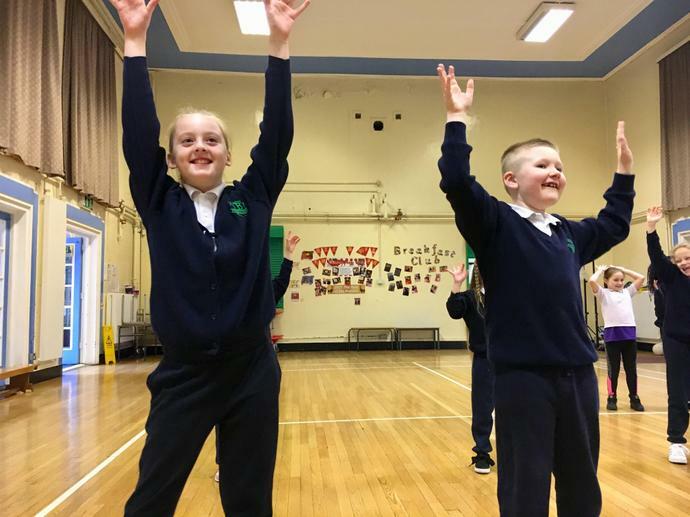 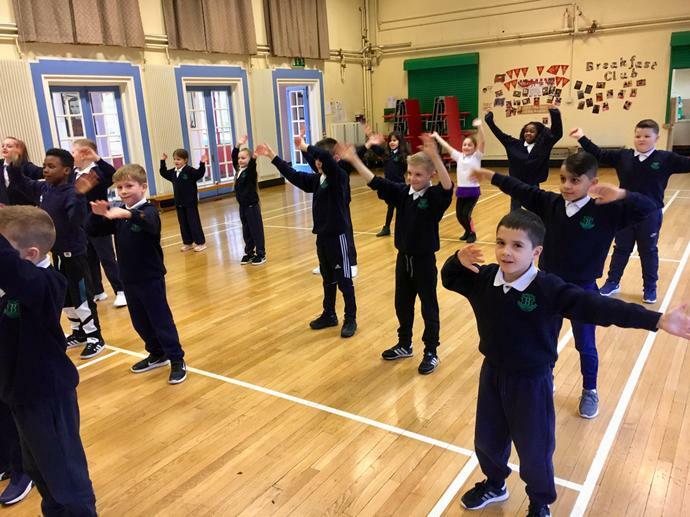 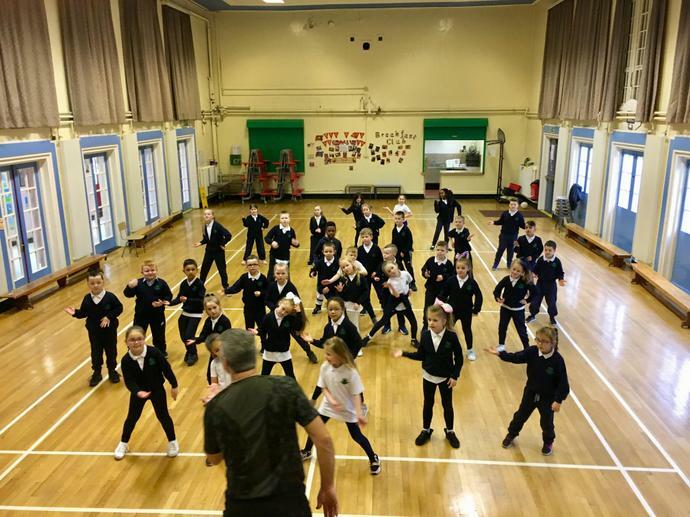 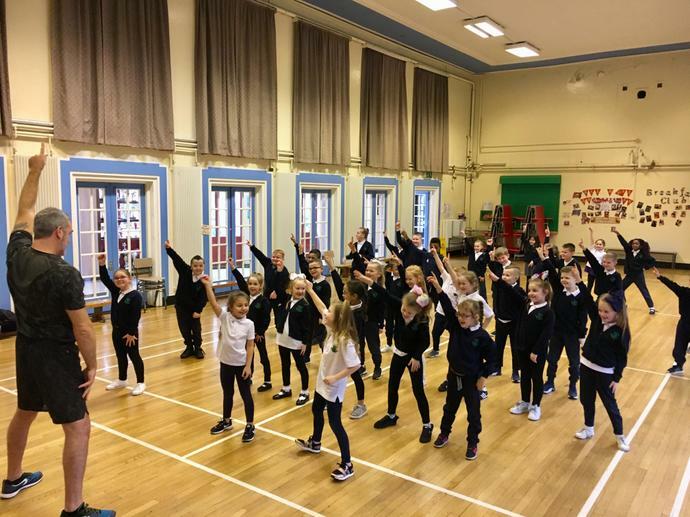 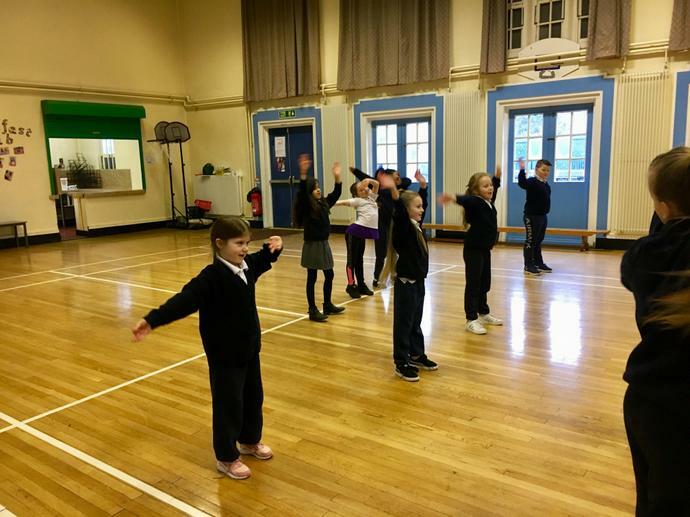 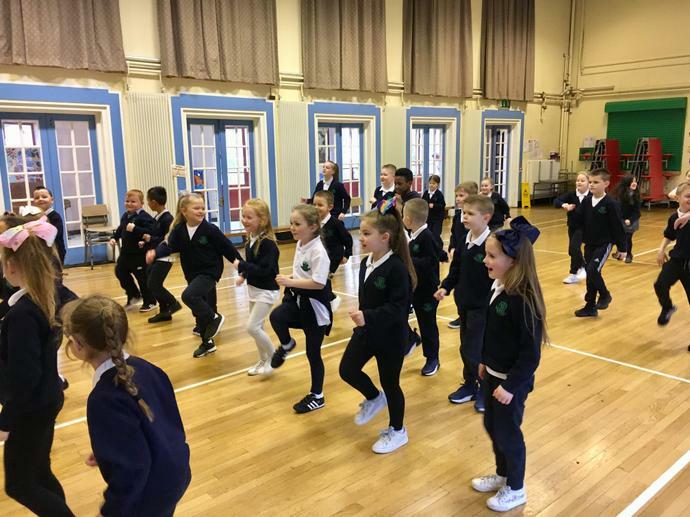 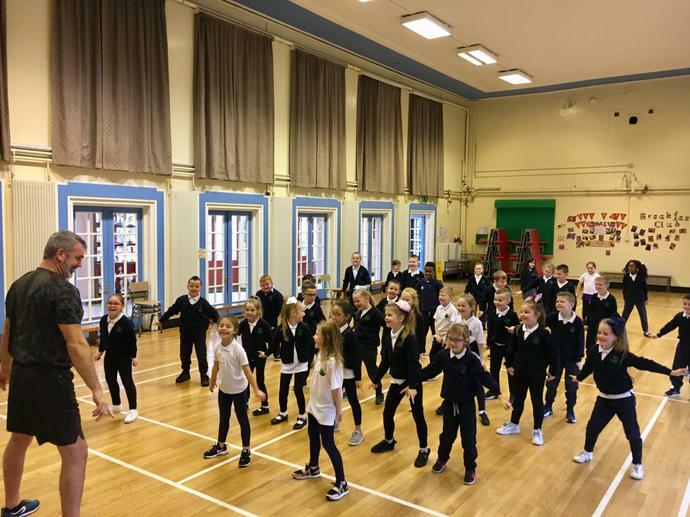 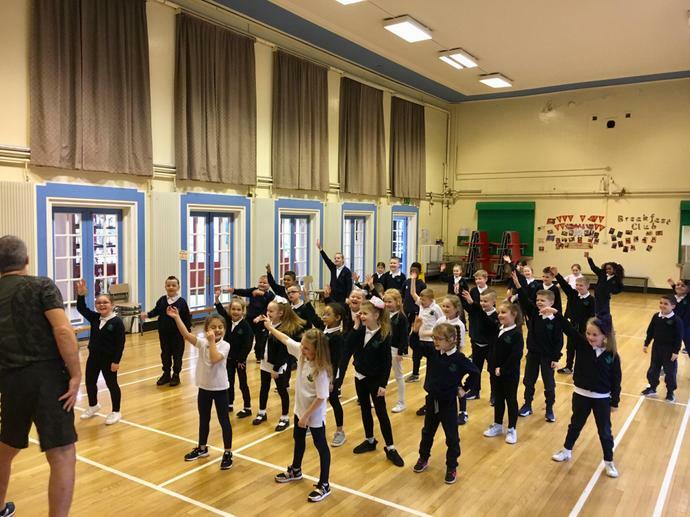 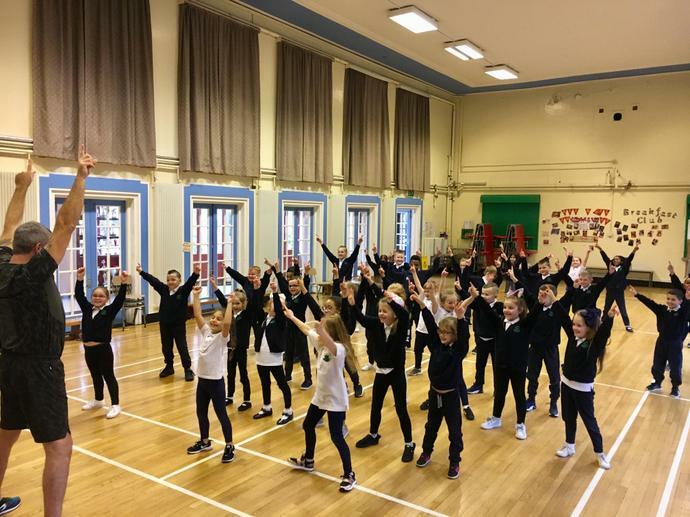 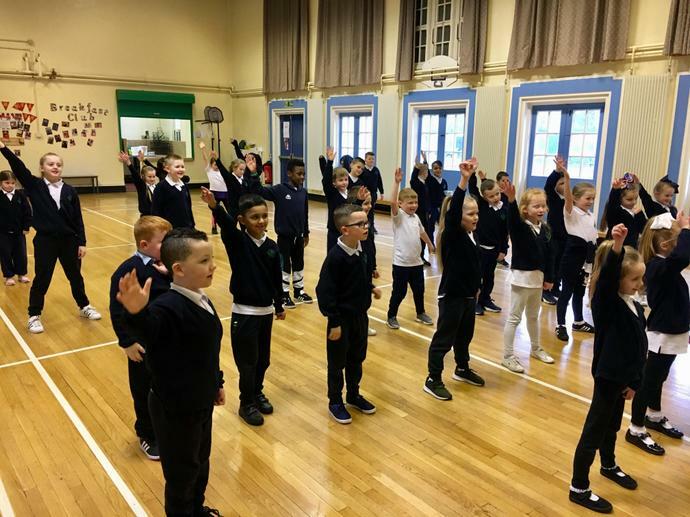 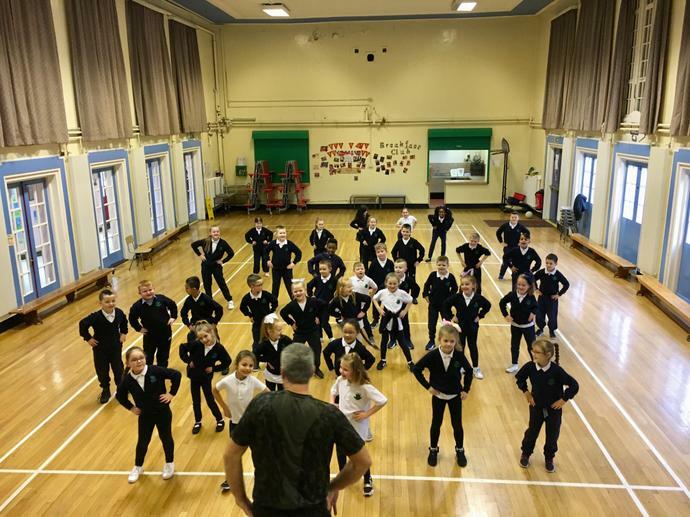 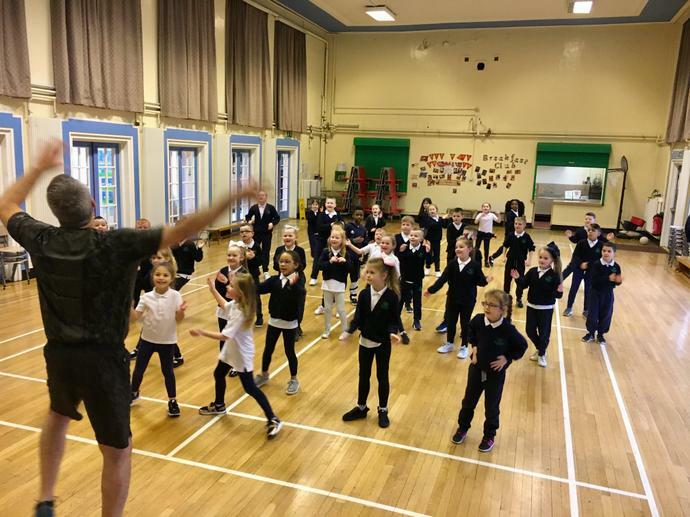 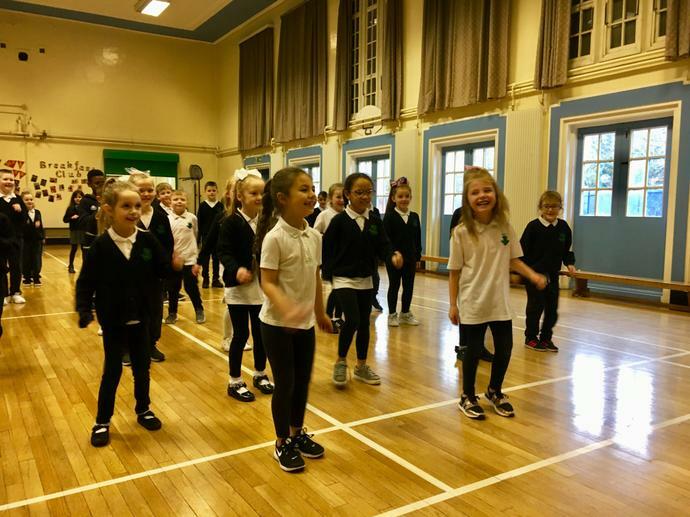 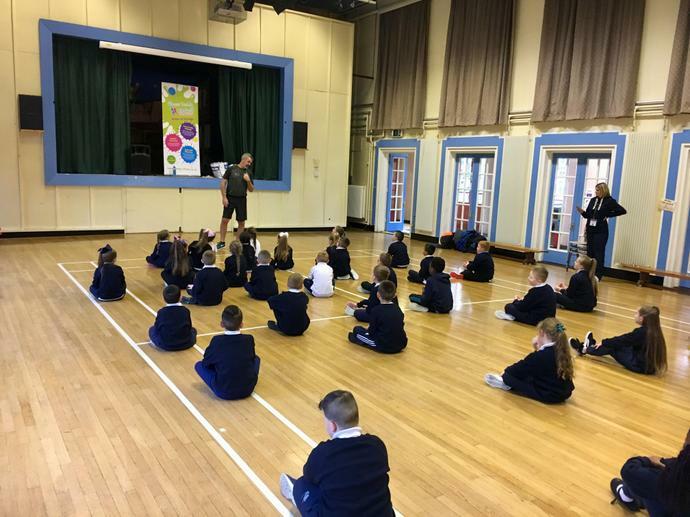 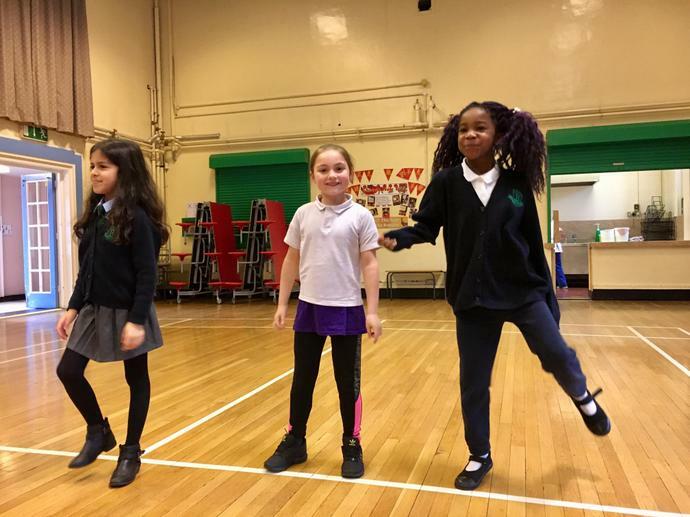 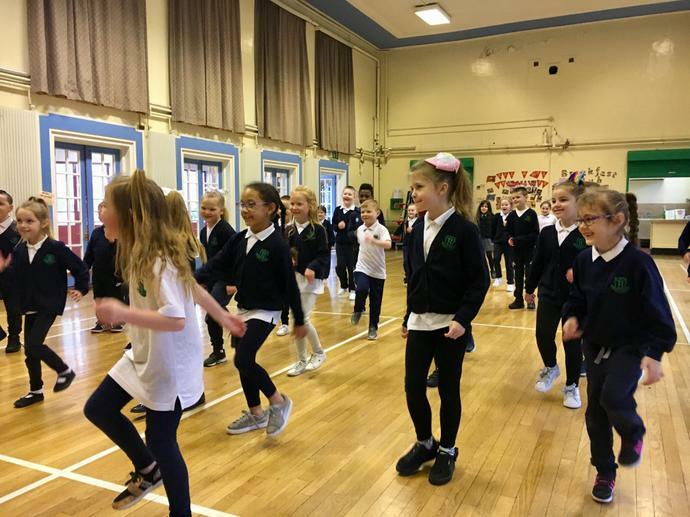 Our class enjoying keeping fit with Fitness Freddy. 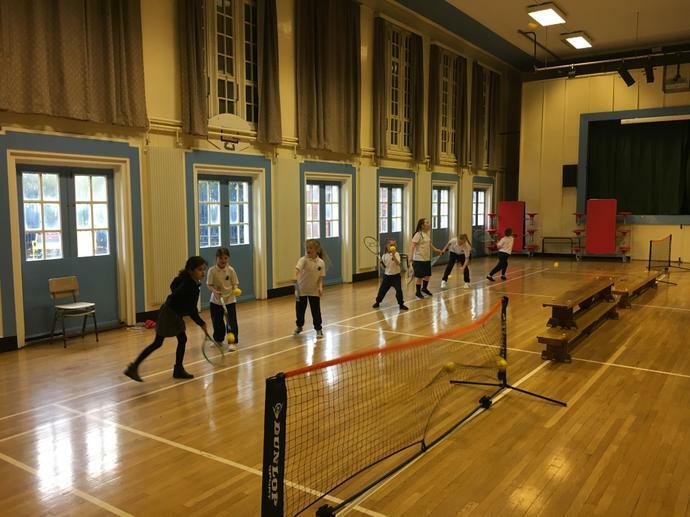 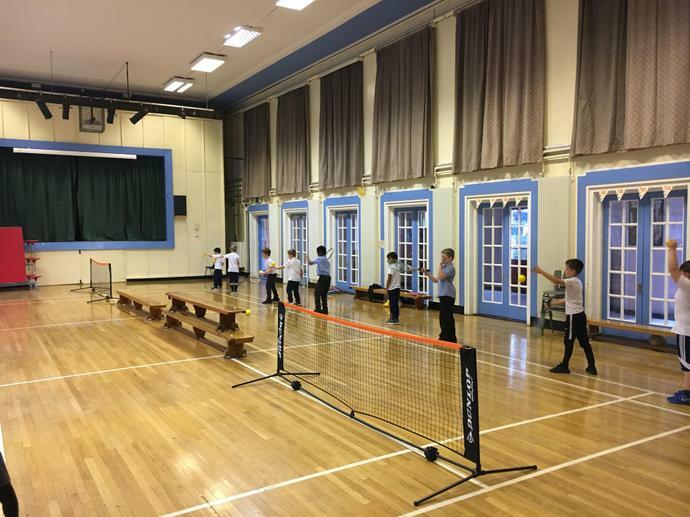 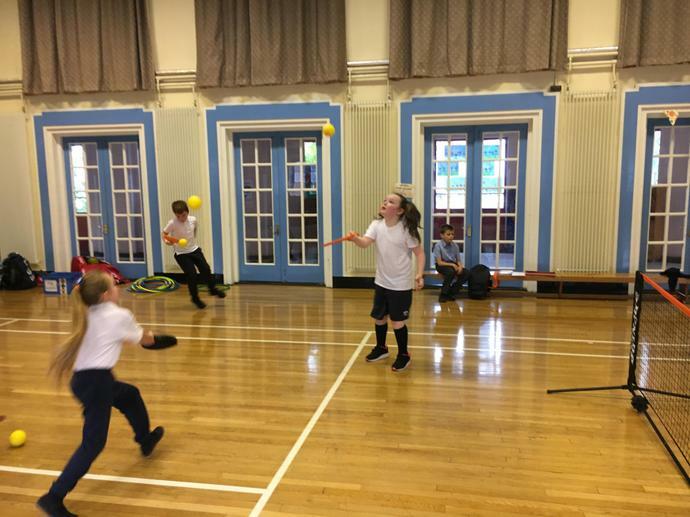 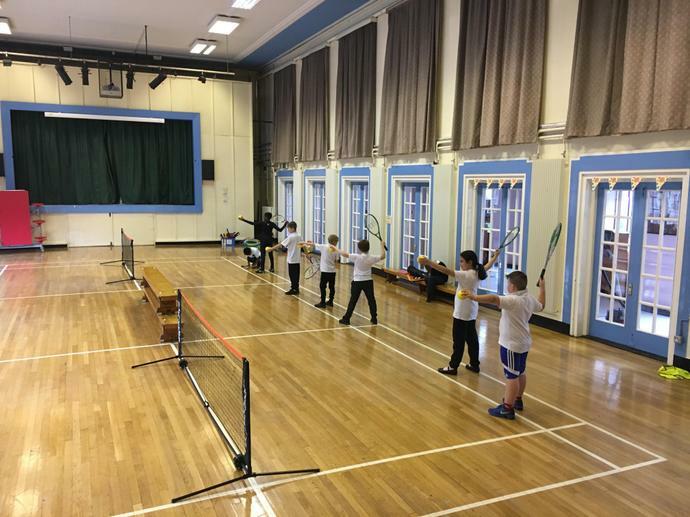 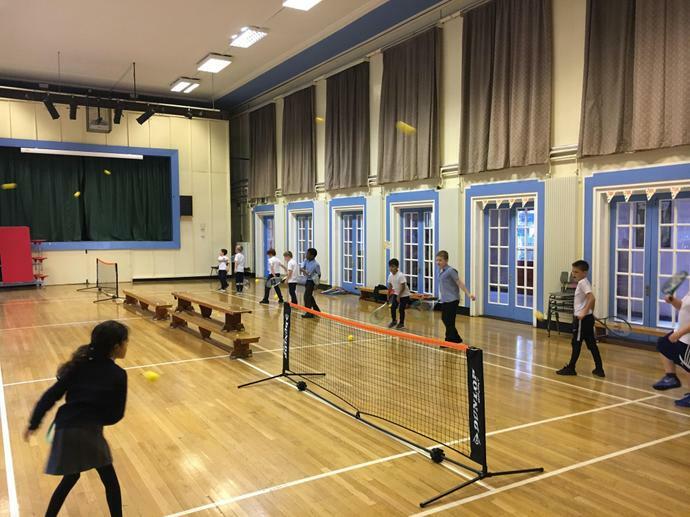 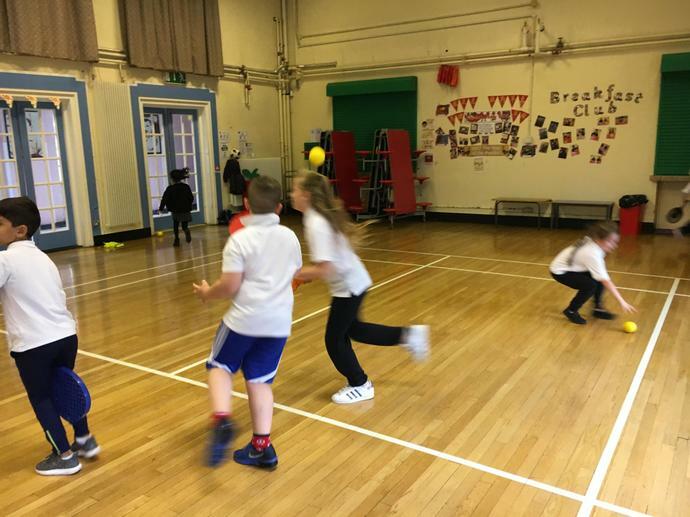 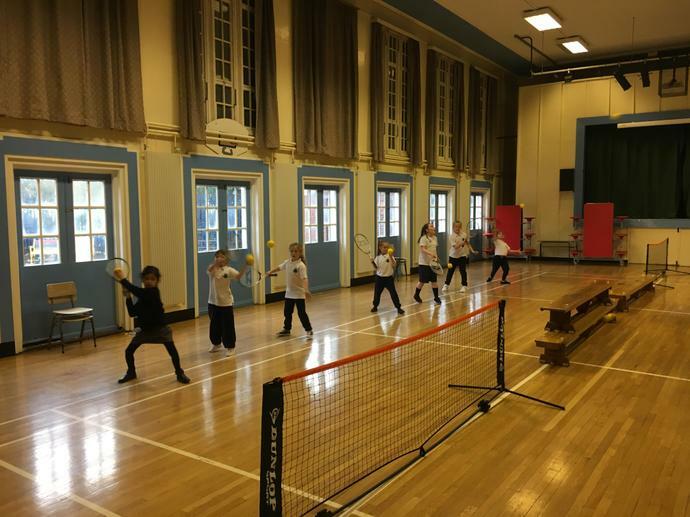 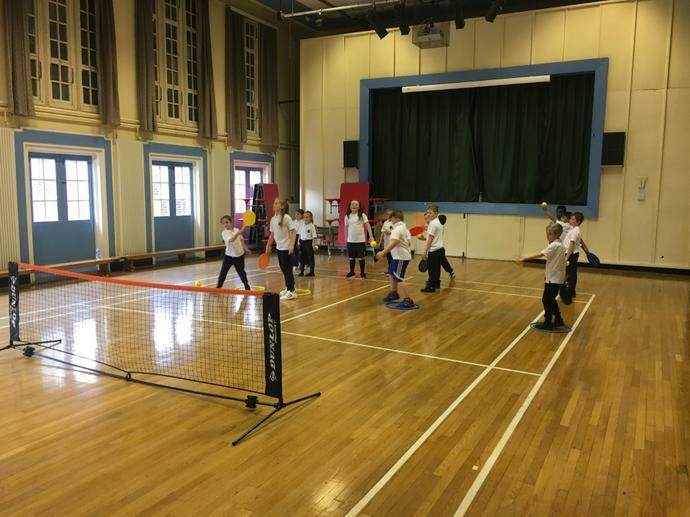 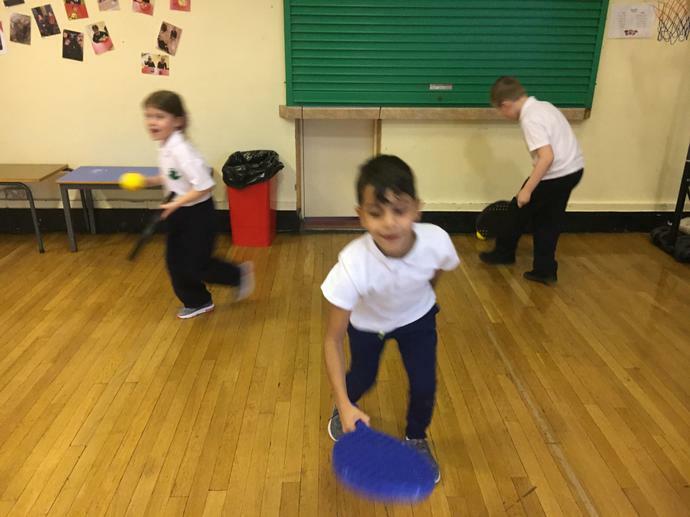 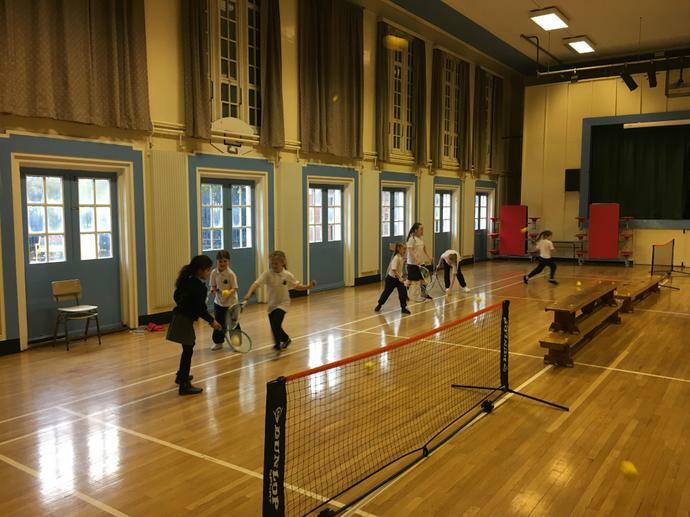 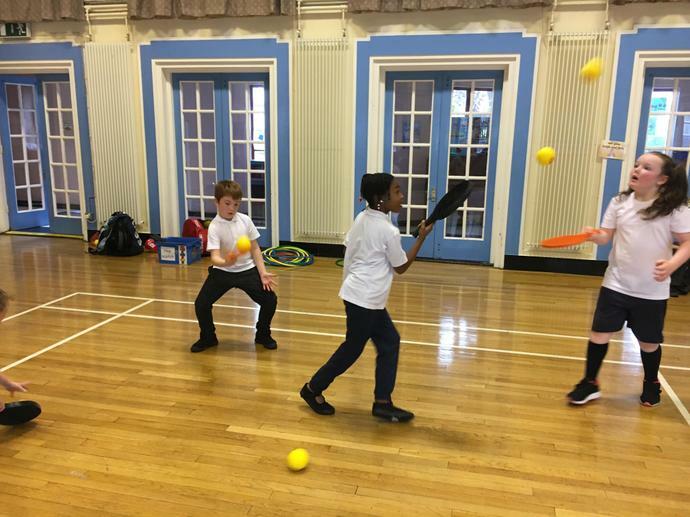 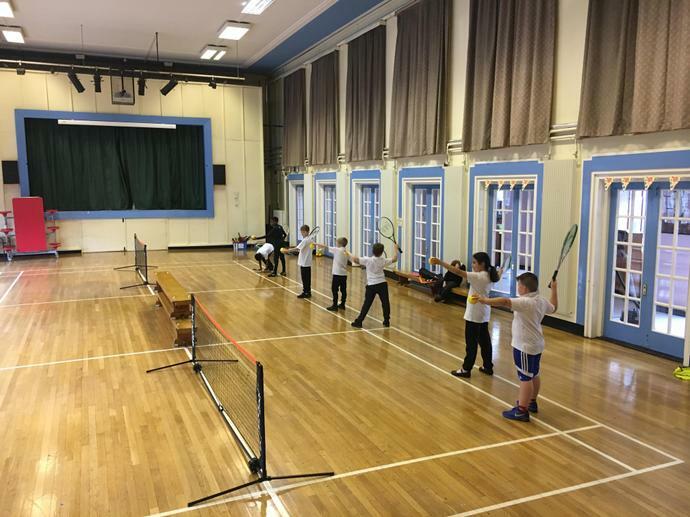 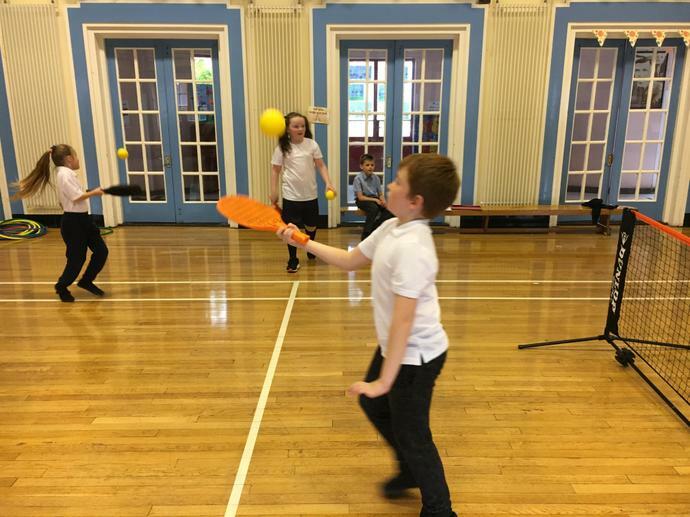 P4 practicing their mini tennis skills.